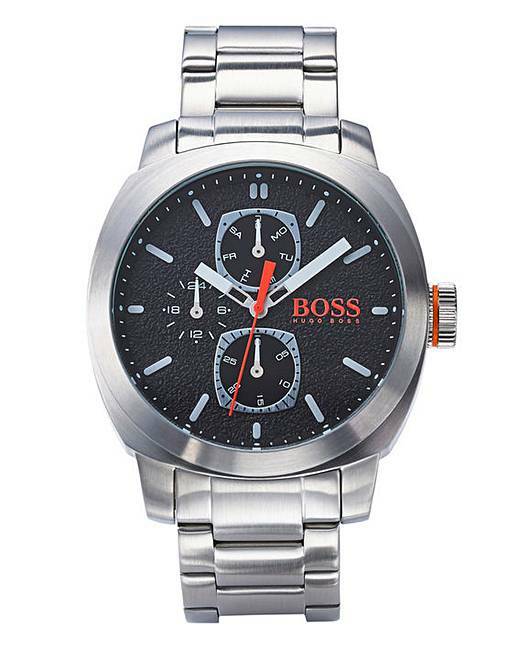 Boss Orange Gents Bracelet Watch is rated 5.0 out of 5 by 1. Boss Orange watch from the Cape Town family. Featuring a 46mm stainless steel case, multi-eye black textured dial and stainless steel bracelet. Water resistant 50m. 2 year manufacturer's guarantee.